This powerful non-fiction account of the oppression of women in the Muslim world remains as shocking today as when it was first published, more than a quarter of a century ago. Nawal El Saadawi writes out of a powerful sense of the violence and injustice which permeated her society. Her experiences working as a doctor in villages around Egypt, witnessing prostitution, honour killings and sexual abuse, including female circumcision, drove her to give voice to this suffering. She goes on to explore the causes of the situation through a discussion of the historical role of Arab women in religion and literature. Saadawi argues that the veil, polygamy and legal inequality are incompatible with the essence of Islam or any human faith. 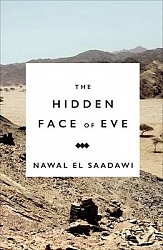 The Hidden Face of Eve remains a classic of modern Arab writing.